Is UHD Really worth it? You're Here: Home / Blog / Digital Signage / Is 4K/UHD Really worth it? Is 4K/UHD Really worth it? I always remember, one of the very first posts on this blog, back in November 2010 was ‘Is 1080p Really worth it?‘ It was back in the day of slower media players, slower internet connections, and ridiculously expensive large HD screens. Well now we have faster media players, faster internet connections and less expensive display technology we should ask that question again, but this time focus on 4K & UHD (slightly different, but for the purpose of the article we will treat them as effectively the same. 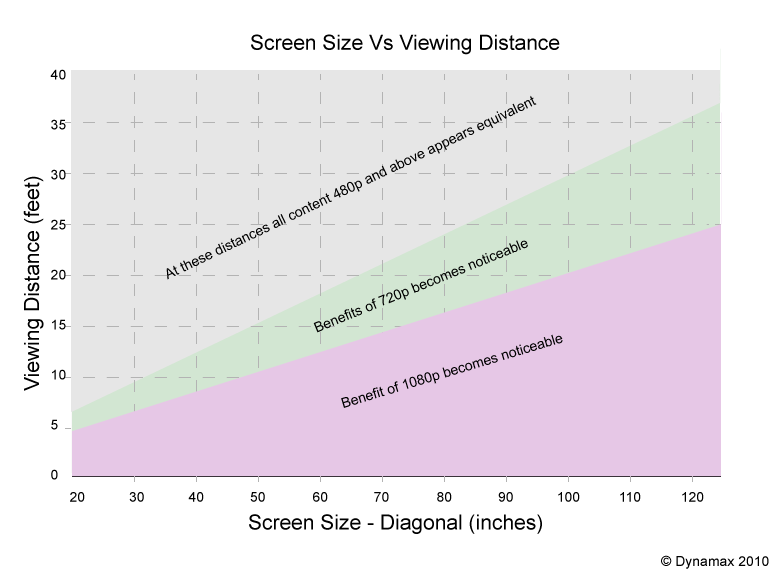 As you can see, the benefit of higher resolution images and videos is actually a function of screen size and viewing distance. For UHD images and videos this is increased by a factor of 4. UHD video files are also typically much larger than their HD equivalents. 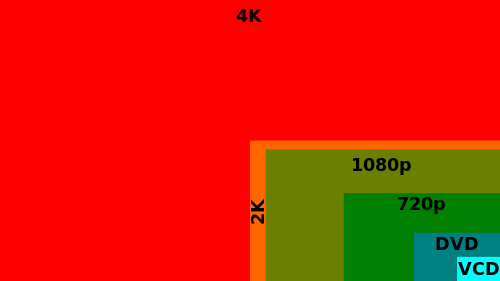 A graph to illustrate the difference in the number of pixels shows the size difference between even HD and UHD. The other issue to consider with UHD is the capability of the graphics card and the supported video codecs. 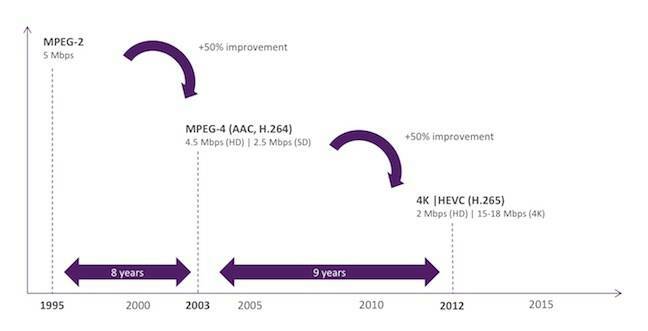 HD typically uses a H264 codec, commonplace these days with the vast majority of graphics cards, but UHD can use the more size efficient codec H265 which comes with an extra processing overhead to decode the heavily compressed data on the fly. None of the above is meant to detract from the high resolution and colour fidelity of UHD, but mainly to serve as a reminder that there are many other aspects to consider as well as image size and quality. This entry was posted in Digital Signage, Hardware, Tips and advice and tagged digital signage by hsmith. Bookmark the permalink.